I occasionally get request directly from authors asking if I'm available to design their covers. Always flattering, but I usually say no because of my busy schedule. 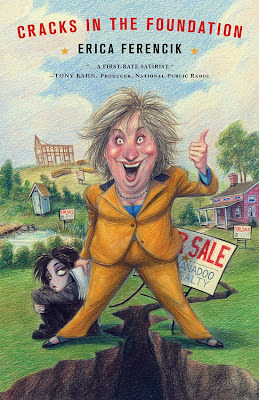 And unless they're at a Publishing House and their Art Director hires me directly, I don't want to be stepping on toes. One of the things I hate to hear from the editor is that the author has a friend who's a designer and has great ideas, can you work with them. Yikes. I had a job where the editor told me that the author's response was, "A good start, can the designer give us the layered files so that my sister can move the elements around?" Get Thee Away From Me! But in this case, Erica was doing it all. 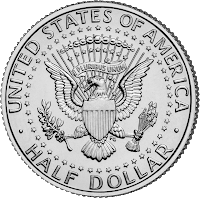 A one-person self-publishing house. Which has its own set of challenges. That means, in addition to being the author, she's the Publisher, the Marketing dept, the Sales dept, the Production Manager, Managing Editor, Copy Writer, Copy Editor, Art Director, and assistant. Imagine trying to get something approved. I have no one to rally on my side. It was a long process but in the end very enjoyable. It's a fun read. Check it out. 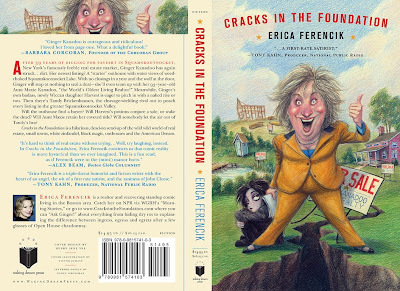 Good luck with your book Erica! 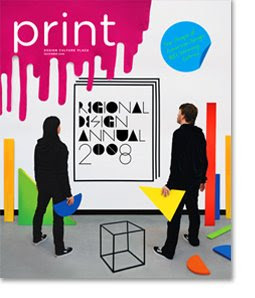 Even in a weakening economy, the New York design business was robust in 2007 and through the summer of 2008; studios and design businesses reported hiring numerous freelancers to complete a full docket of work. At book publisher Picador, creative director Henry Sene Yee reports that 2007 was “very creative, not just with me, but with colleagues,” and the same has been true in 2008. Still, Yee began to worry when he realized that electronic readers such as Amazon’s Kindle and Sony’s eBook had become enjoyable to use—even to him. “I think it’s going to allow people to read even more, but I don’t know what my role as a cover designer will be in that e-book future,” he says. One technology that’s exciting him, however, is design: related (designrelated.com), a networking site known informally as “MySpace for designers.” Yee has commissioned covers from designers he found on the site, and he praises it as a way of finding artisans working for lesser-known presses outside New York. “They’re doing incredible work for these small presses—these high-end concepts and designs that are just beautiful,” he enthuses. Designing with sustainability in mind continues to be a focus for designers, and, more and more, for clients as well. Suggestions for recycled papers and sustainable printing presses were “always something that we would bring to the table, and often— whether it was cost or something [else]—it was a difficult sell,” says Levin. “Now, it seems like people are really on board and want to know how they can do it and what they can do.” Seth Labenz of Brooklyn-based studio Topos Graphics notes that not everything labeled green is as sustainable as it should be. “We’ve found or observed that solutions are sometimes motivated by the appearance of being green, as opposed to a true commitment to real change,” he says. Labenz, with Topos partner Roy Rub, creates consistently avant-garde design that’s certainly helping expand design’s vocabulary—and its audience’s general literacy, too. He’s optimistic about design’s future possibilities: “It used to be a technique of marketing,” he says, “whereas today, more and more, it is not only that but a vehicle for reflection, knowledge, history, criticism, vision, provocation—a lens for culture but also an embedded, utilitarian tool for discourse and change.” The duo’s work, and the work of their fellows throughout New York City, reflects that exhilarating new mandate. Jeremy Lehrer, a contributing editor at PRINT, is a freelance writer who covers design, sustainability, and spirituality. This article appears in the December 2008 issue of PRINT. 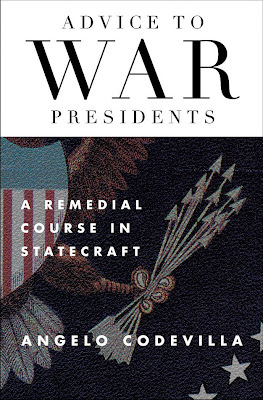 From a distinguished conservative scholar, a primer on the principles of foreign policy and how the United States, having ignored these principles for nearly a century, can use them to resolve its current crisis. 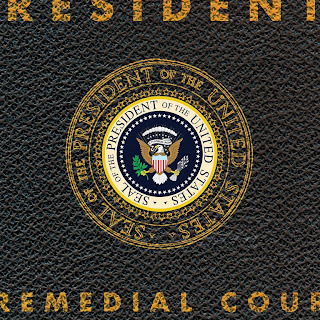 The Art Director Nicole Caputo wanted me to try, "a small handbook that has a plain state dept look, like a type pamphlet to war presidents" feel. This idea has been overdone and I've probably done it a hundred of times myself. But I'm here to serve the Art Director and her editor and I'll do my best to give it a fresh take. I thought working with a simpler amount of elements would keep it from looking too cluttered. The texture was key. I had an old A.T.A. 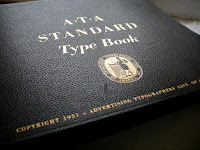 Advertising Standard Type Book from 1951 that was laying around my office that I was actually going to throw away. It had a great pebbly textured case with gold foil type stamped into it. That would be a nice thing to play with. The book itself is filled with pretty standard fonts, hence the name. So I thought this would be a no brainer in cleaning out my office. But because of this assignment, it just reinforces the idea that you can never throw anything out because you never know when you'll need to use it. 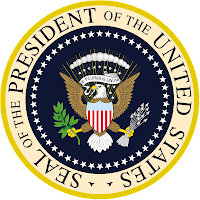 Another idea was to work with the Presidential Seal. 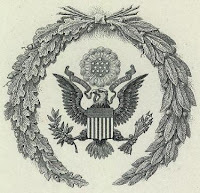 I heard somewhere that in times of peace, the Seal of the President of the United States depicts the bald eagle facing its usual direction towards its talons clutching the olive branch of peace. But in times of war, it is switched out with the eagle facing its talons clutching arrows of war. I like the idea that the state of conduct of the Union extends to even the smallest of details. But I read that it's just urban legend. 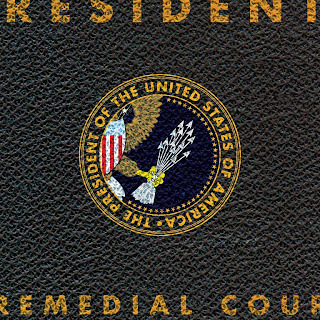 The US Government didn't allow us permission to use the original Seal so I had to recreate one for the final. I chose to combine an alternate idea that focused on the Eagle's Talons of War. I like the way this turned out. 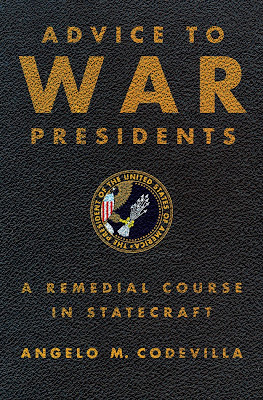 It suggest that maybe this was Presidents Woodrow Wilson's original handbook and that it has been passed down from President to President offering advice. And now it'll be in the hands of our 44th President, Barack Obama.